Okay, you did your due diligence, sent out the RFI (Request for Information) and lengthy RFP (Request for Proposal) and have your ‘picks’ for LMS solution providers. So you sit back in the conference room for the demo day (daze?). Watch and take notes as the solution providers parade through, dazzling you with their features and functions, current showy capabilities and future amazing plans. Now it’s time to choose. Right? Wrong. The problem with this approach is that it fails to follow Shakespeare’s solid MBA advice: “All the world’s a stage, and all the men and women players; they have their exits and their entrances.” People are real and use cases reflect that reality. RFIs and RFPs are great tools to gain knowledge about an LMS vendor. They tell you what you wanted to know about them and their LMS. Not so great for actually seeing firsthand how the LMS you will need to live with reacts to some very specific and real situations. It is the difference between learning what you need to “know” and actually experiencing the “know-how” the LMS will perform. Think of it as the test drive before you buy the car. That’s where the use case enters the demo. Simply stated, an LMS use case is a list of action-based tasks that will demonstrate the system’s ability to meet your specific needs. 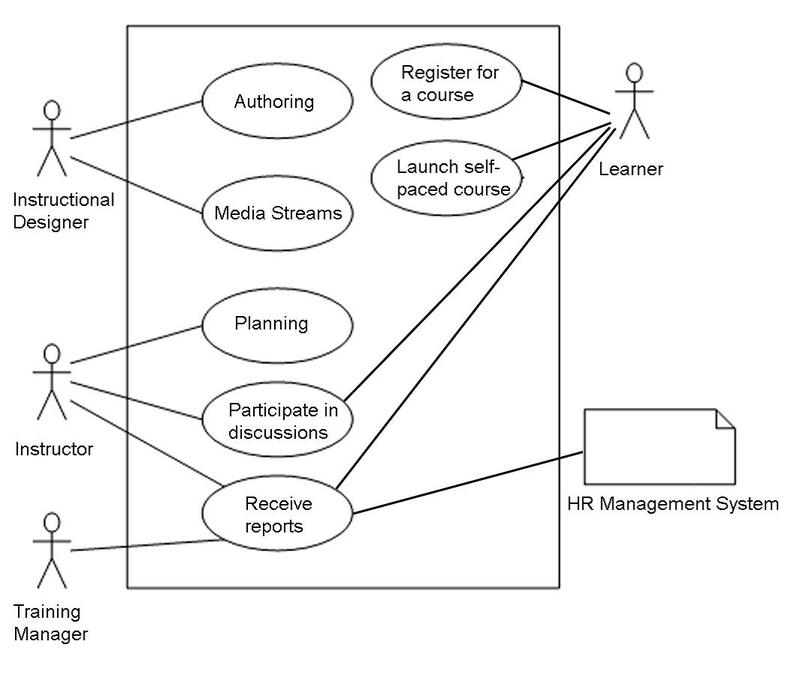 A use case describes a “day in the life” of an LMS user. What will they be doing with the system most often? Invite in selected LMS solution providers to demonstrate how their system matches with your use cases developed by the team of stakeholders who will be using – or impacted by – the LMS. The use cases are the final piece of the selection puzzle that starts with the RFI, whittles down the field to the RFP, and then seals the deal when the vendor successfully handles the use cases. The use cases you develop are the litmus test for the vendors who have made it this far through the RFI and RFP process. Showing you exactly how their LMS will handle these use cases will tell you whether or not the LMS can do the job you need it to do to meet your business requirements. The use cases are far better than asking more questions or sitting back as the vendor’s shows off all the bells and whistles of their LMS as they attempt to dazzle you (or your boss) with features and functions you may or may not need. Want more information on how to Select and Purchase an Enterprise LMS? Get a preview of David Grebow’s white paper, available to Brandon Hall Group members. Previous:What Keeps You Up at Night?